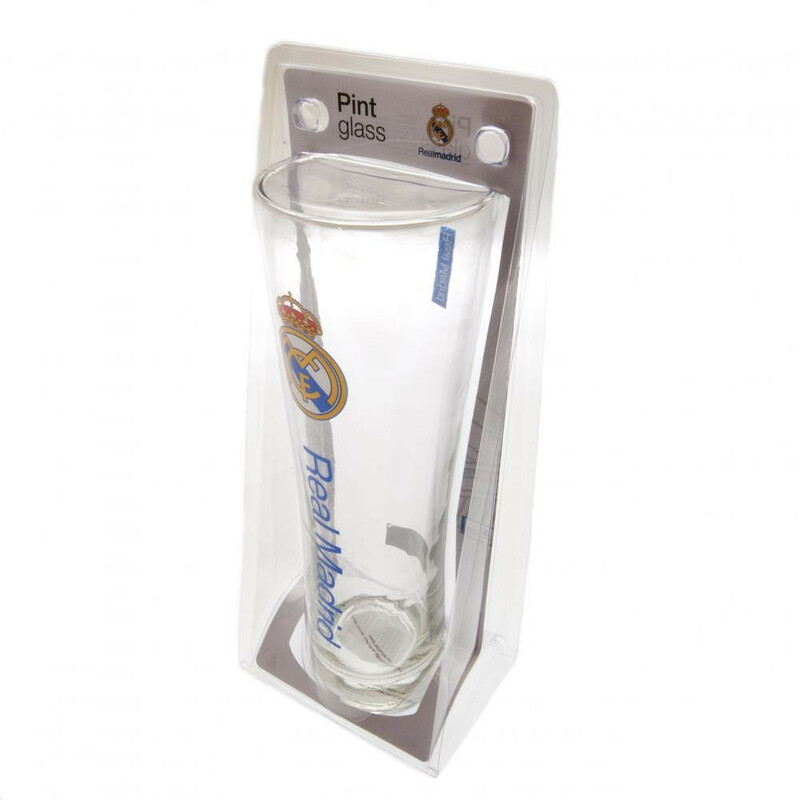 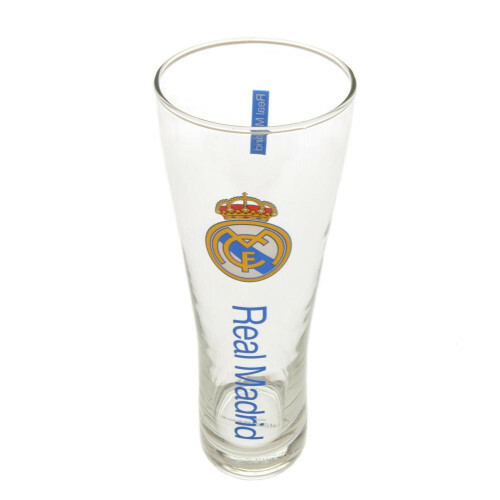 Beer glass from a branded Real Madrid collection. Taste your favorite drink with a mug of your beloved club. Volume: 1 pint = 473 ml.